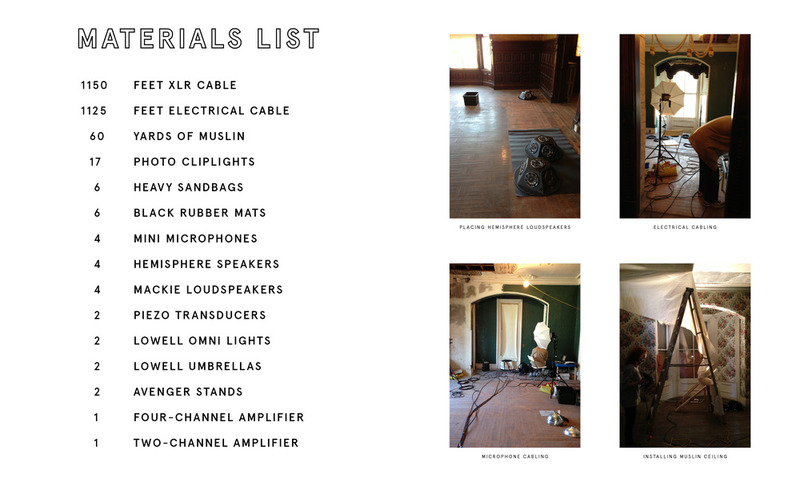 Rooms in a vacant 19th century house resonate live music performed in the front parlor. Each instrument of the quartet is individually amplified in a separate room using microphones and carefully placed speakers. Listeners follow the sound of the 2nd violin in an old stove, the 1st violin in the kitchen, the viola on the grand stair and the cello in the china cabinet and in the heat duct. 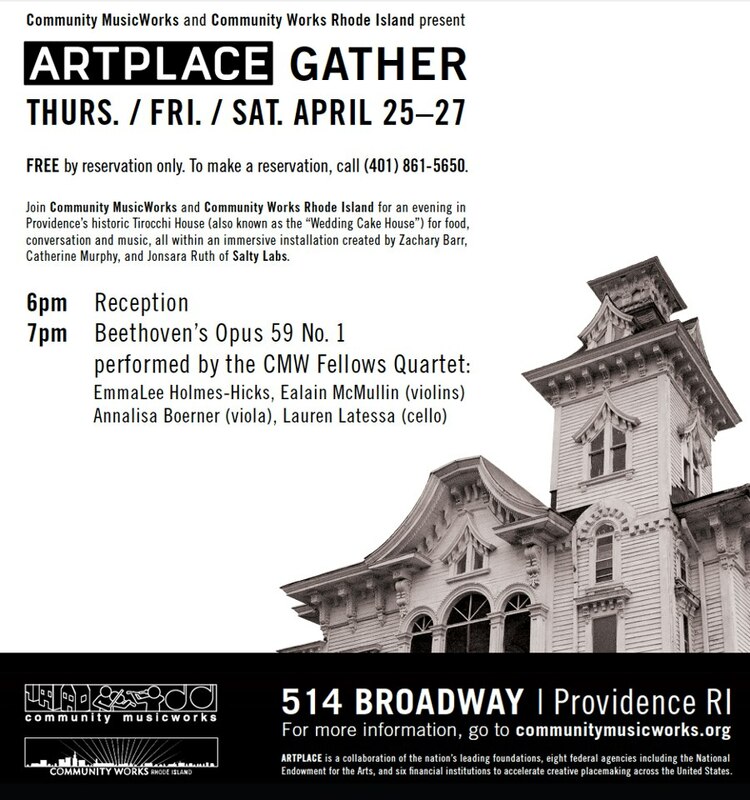 Well-appointed but dilapidated rooms are revitalized by Beethoven's String Quartet #7 opus 59 no.1, vigorously performed by Community MusicWorks players. The audience listens while wandering. Microphones designed by Steve Schwartz fit inside each instrument and Hemisphere speakers designed by Stephan Moore allow sound to fill surrounding space.